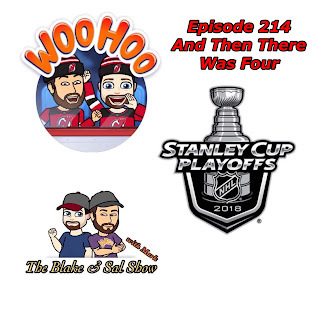 In a recording earlier in the morning than normal, the guys get back together with Mike in sleepy tow, to discuss some major topics. 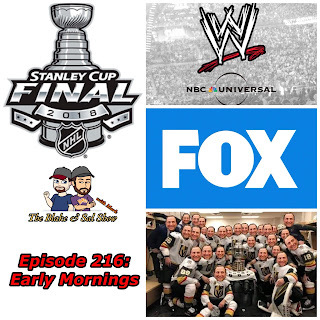 First they look at the WWE's pending crazy upcoming television deals and then after discussing some TV show cancellations, they break down the Stanley Cup Finals between the Vegas Golden Knights and Washington Capitals. Matt attended the Windy City PonyCon on 4/14 and 4/15 at the Hyatt Regency in Schaumburg, Ill, and did full coverage of the panels and concerts that went on. This is part two of the two part podcast event coverage. It’s down to the Washington Capitals, Tampa Lightning, Vegas Golden Knights & Winnipeg Jets, who is going to the Stanley Cup Finals? Blake Sal, Mike & Erik make their picks and decide. 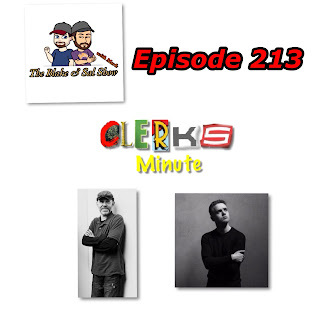 Since Blake is out of town for the weekend, he has brought you two more interviews from his other show Clerks Minute. First is JJ Garvine from the documentary Film Hawk and then Chris Bain who plays Jay Mewes in Shooting Clerks. 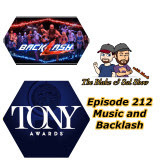 In a short fast paced show this week, after looking at the winner of the NHL Draft Lottery and the Tony Awards nominations, Blake and Mark look back at the Greatest Royal Rumble and then preview WWE Backlash.